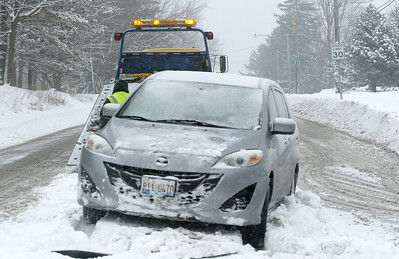 H. Rick Bamman - hbamman@shawmedia.com A tow truck operator works to remove a car stuck in the snow on Highland Aveenue at Algonquin Rd. Wednesday, Feb. 5, 2014. 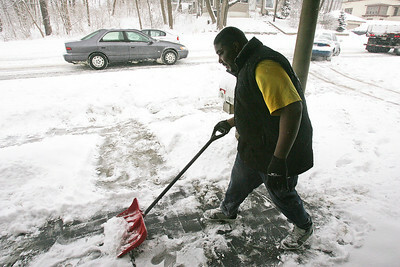 H. Rick Bamman - hbamman@shawmedia.com Algonquin resident Quintan Lightfoot clears snow from his porch as traffic on Rt. 31 crawls by Wednesday, Feb. 5, 2014. 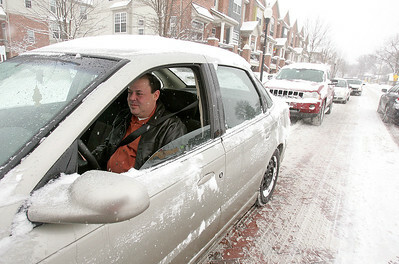 H. Rick Bamman - hbamman@shawmedia.com Frank Barrile of Cary sits in traffic on North Harrison St. in Algonquin Wed, Feb. 5, 2014. Barrile said it took him 40 minutes to get to downtown Algonquin from Cary after traffic was diverted off of Rt. 31. H. Rick Bamman - hbamman@shawmedia.com Ttraffic on Rt. 25 crawls south bound from Algonquin Rd . on Wednesday. H. Rick Bamman - hbamman@shawmedia.com Ill. Rt. 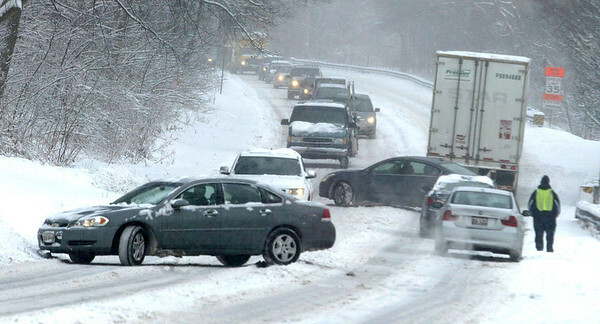 31 traffic is snarled in Algonquin after an empty semi-truck could not get enough traction to get up the hill. 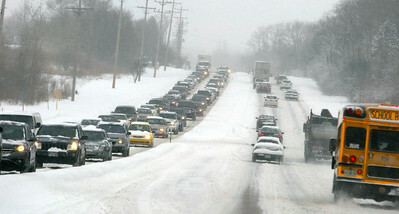 IDOT plows and salt trucks arrived around 9:45 a.m. to clear the highway on Wednesday.